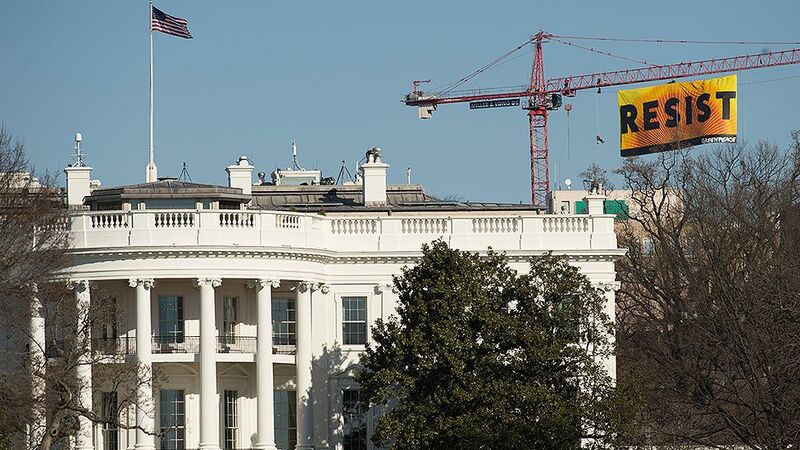 A flag with the slogan "resist" flew above the White House earlier in protest at President Trump's environmental policies. Seven Greenpeace activists climbed the crane to hang the banner on Wednesday and it remained there for several hours. America's new leader has angered groups with his views on climate change. Since taking office he has already signed orders for a controversial oil pipeline to be completed. 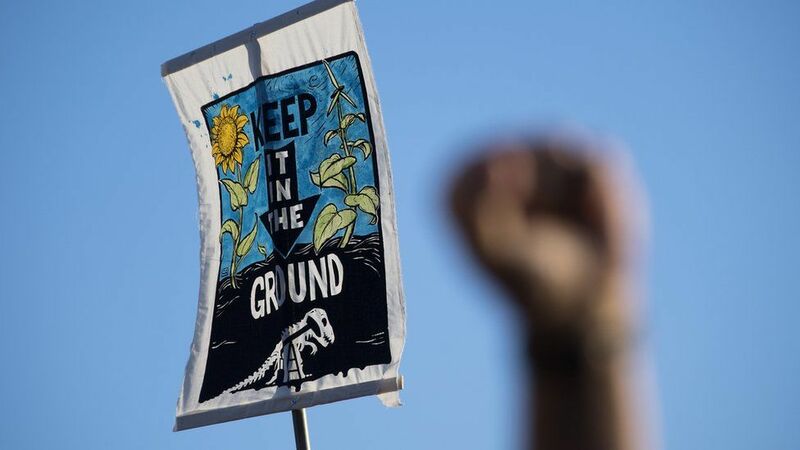 The protest took place the day after Trump took steps to restart the Keystone XL and Dakota Access pipelines. Progress was halted in late 2016 after rallies against the disturbance of Native American sacred land. 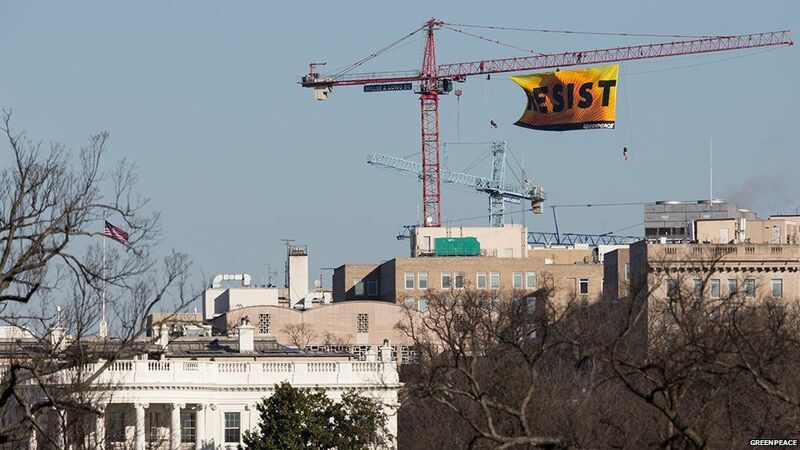 "People in this country are ready to resist and rise up in ways they have never done before," says Greenpeace USA's Karen Topakian, in an official statement from the organisation. 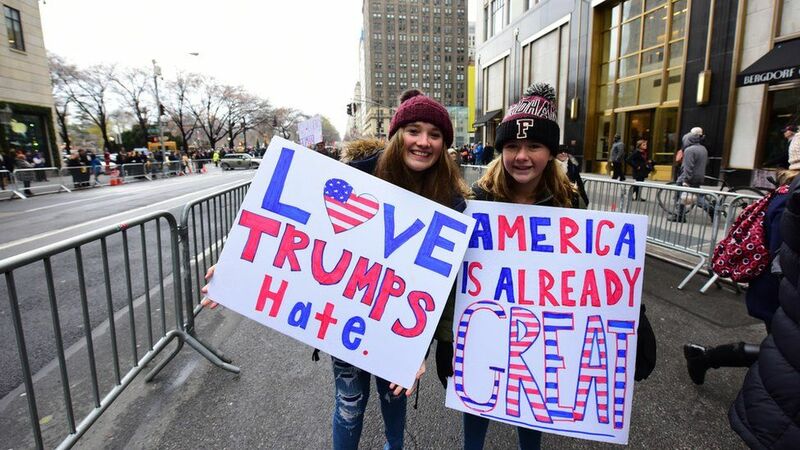 "While Trump's disdain and disrespect for our democratic institutions scare me, I am so inspired by the multigenerational movement of progress that is growing in every state. "Greenpeace has used non-violence to resist tyrannical bullies since 1971, and we're not going to stop now." 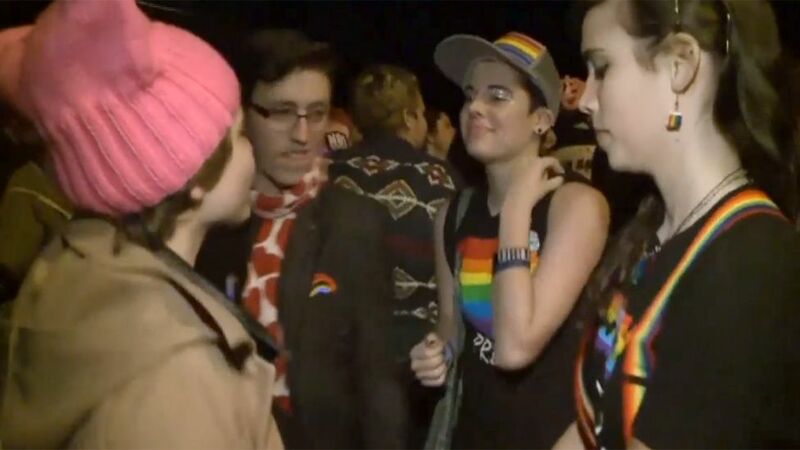 Today's protest comes days after hundreds of thousands of people joined Women's marches across the world to call for equal rights under the new president. "It is plain that communities and cities across this country are alive with the spirit of resistance, the spirit of speaking out, and the spirit of taking action," she adds. "Our goal here today was to display a beacon of that spirit. Now that we've done that, it's time to get to work." As he signed the Keystone XL measure President Trump said it would create a "lot of jobs, 28,000 jobs, great construction jobs". In relation to climate change, the new White House website says the new administration is "committed to eliminating harmful policies".